We’ve long been talking about affordable art for the home and it seems things have really taken off for those catering for babies and children’s rooms. Happy-up your home with these delightful pieces from Happy Spaces. 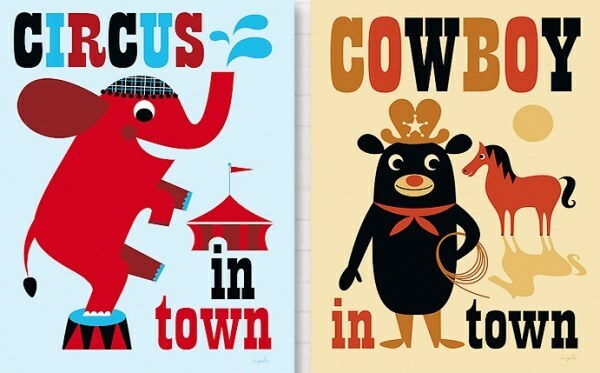 A site devoted to providing cheery art for youthful folk, choose from no-brainer co-ordinated sets or pick each piece one by one for an individualised look. Utilising the talents of fine artists, Happy Spaces has something to suit many tastes. 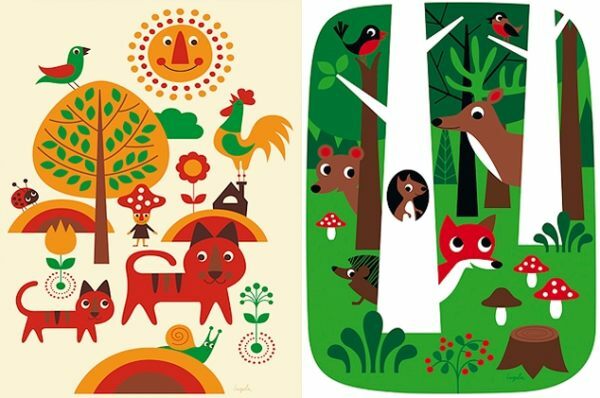 I must admit to playing favourites – having scanned most of the site, I’m captivated by the work of artist Ingela P. Arrhenius, whose art features folksy, appealing critters in foresty, Scandinavian style (below). Prices vary, so have a look for yourself and you might find you’ll lose a bit of time in the process. I love the gallery-style site, which allows such easy viewing of the artworks. Happy Spaces really lives up to its name!